MIRO AT THE TATE MODERN, 14 April – 11 September 2011. 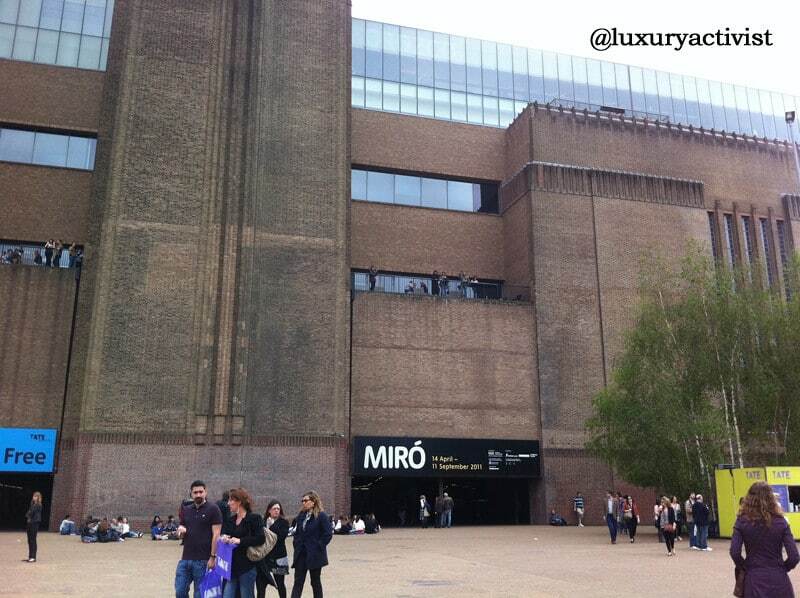 Last weekend, I visited the Miro exhibition at Tate Modern in London. Each time I am in this city, I love to visit the Tate Modern. A part the fact it is a beautiful place, I enjoy the modern tools they develop in order to support the different exhibitions. Each new exhibition possesses its own iPhone app. It will be available soon at the iTunes store. So you will be able to download it online. I also appreciate the spirit of “Southbank” with the old Shakespeare theather and the lovelly restaurants for a relaxing sunday brunch. Joan Miro is a mystery for me. He is not a spectacular painter like Picasso or even Salvador Dali, but he might have influenced an entire period of the modern society. He represented the symbol of spanish resistance during the Military dictature of Franco. 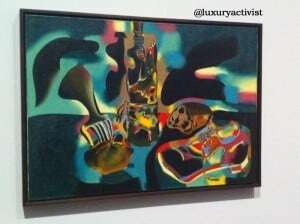 He was also one of the leader artists of the Surrealism movement. He was born in Barcelona in 1893. André Breton used to call him: “The most surreal of us all”. Surrealism is a cultural movement that began in the early 1920s, and is best known for the visual artworks and writings of the group members. According to Wikipedia, Surrealist works feature the element of surprise and unexpected juxtapositions; however, many Surrealist artists and writers regard their work as an expression of the philosophical movement first and foremost, with the works being an artifact. Leader André Breton was explicit in his assertion that Surrealism was above all a revolutionary movement. Surrealism developed out of the Dada activities during World War I and the most important center of the movement was Paris. From the 1920s onward, the movement spread around the globe, eventually affecting the visual arts, literature, film and music of many countries and languages, as well as political thought and practice, philosophy and social theory. Surreal artists: Guillaume Appolinaire, Paul Éluard, Benjamin Péret, René Crevel, Robert Desnos, Jacques Baron, Max Morise, Pierre Naville, Roger Vitrac, Gala Éluard, Max Ernst, Salvador Dalí, Man Ray, Hans Arp, Georges Malkine, Michel Leiris, Georges Limbour, Antonin Artaud, Raymond Queneau, André Masson, Joan Miró, Marcel Duchamp, Jacques Prévert, and Yves Tanguy. Behind a naive artistic approach, Joan Miro reveals a sentimental and nostalgic feeling of his childhood that collides with one of the darker periods of Spain. Here is an interesting video, courtesy of Tate Modern. Here are the paintings I loved from the exhibition. Landscape close to his family farm in Mont-roig. 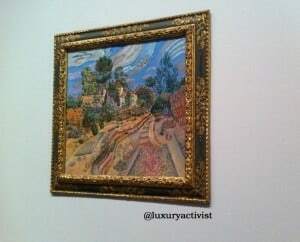 I was sensitive to the beauty and the natural elegance of the waves linking the fields to the sky. He was a friend of Miro. Here, he is painted with a red shirt, a marker of his political radicalism. Fruits and a Red Tulip are introduced in the scene. It represents the fact Vincens Nubiola was an Agriculture teacher. An interesting detail: he is smoking the Pipe, which gives a feeling of relaxation and leisure. In 1924, when André Breton published the “Manifesto of Surrealism”, Miro started a series of works featuring the figure of the Catalan Peasant. We can see the main character is wearing the traditional Catalan peasant red hat. It is interesting to see the work of simplification and minimalistic essence of the artist. No more than 3 strokes to define a full character. The traditional peasant red hat is there in order to bring a known symbol, defining the entire frame. We can see here a clever paradox between the free interpretation of Miro’s approach and the geometrical lines across the painting. 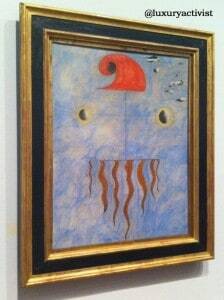 The painting gives us a strange felling of this phantasmagorical head floatting in the air, in the middle of the blue sky. A few clouds are floatting in the sky. 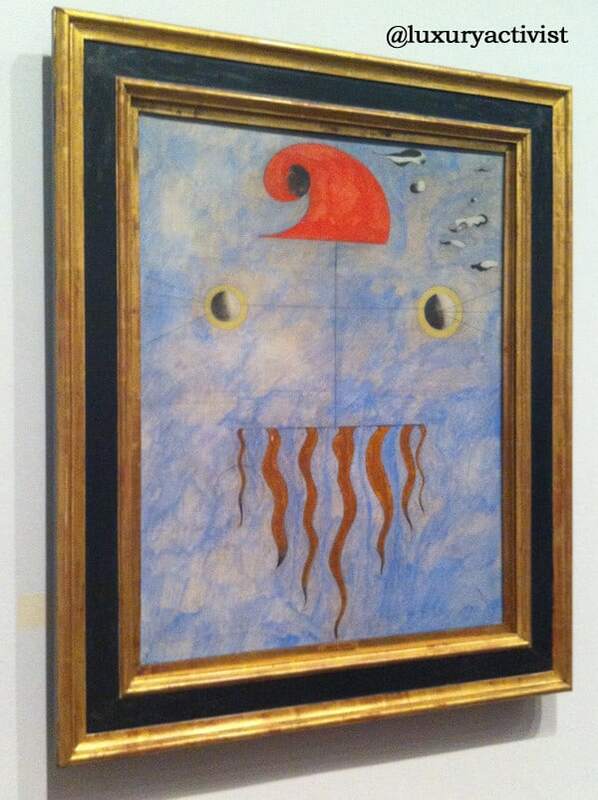 Miro seems worried about the understanding of his work thanks to his aim to give “clues” to the observer. The mid 20’s showed Miro’s friendship with other surrealists artists: André Masson, Max Ernst and Jean Arp. He also meet with poets like André Breton or Paul Eluard. They all share their fascination with thr subsconcious as an alternative to rational. Miro projects this enjoyable character in a bi-chromial landscape. All details are missing but it is not important. Only the idea of this Hare running in an unusual path prevails. In 1936, Spain is in the mddle of Civil war and General Franco wins battle after battle. 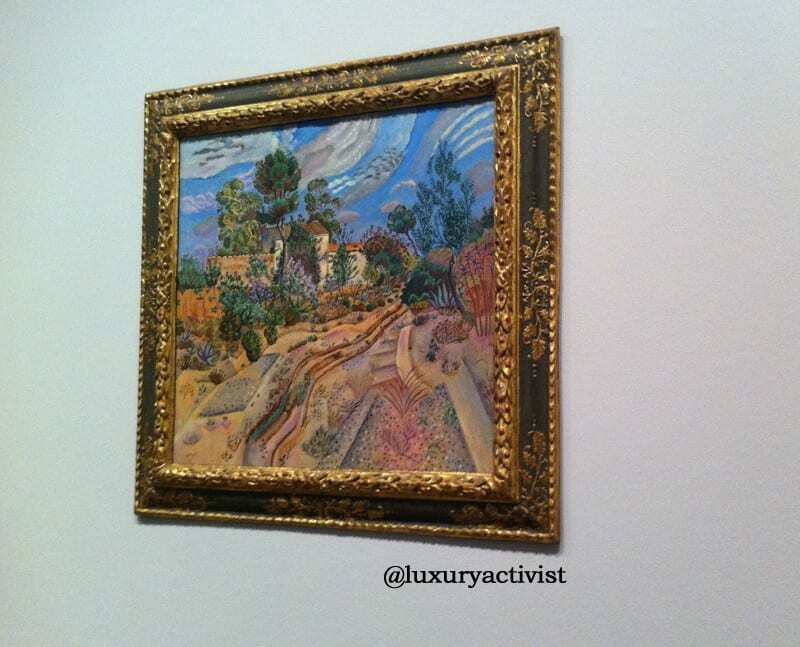 Miro’s work is influenced by a frustrating lack of lightness and generosity. He will do a series of paintings in oil, casein, Tare and sand. 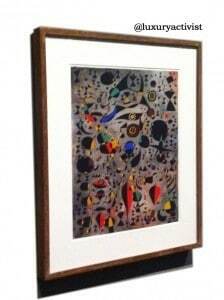 Miro brings them to Paris exhibit during summer 1936. He decides then to stay and live in Paris, in exile for the rest of the war. Still Life with Old Shoe, 1937. In 1937, Miro paints a nature morte called Still life with old shoe. Without knowing, Miro showed the symbols of a decadent period. The different elements reveal desolation and misery: The apple crushed by a huge fork, an old shoe and an impressive bottle spreading its flames…. the flames of war, all over the canvas. 1939 represents the end of Civil war and the reign of Franco that last until 1975. Miro, as many spanish artists in exile, felt this dictatorial regime as a struggle against everything that represents the pure value of the Mind. World War II arrives and brings the anxiety that all european society got for the following 6 years. In 1940, and despite the horror of war, Miro starts one of his most beautiful series, called Constellations. The Passage of the Divine Bird, 1941. This canvas reveals a strong message of reassurance and hope, among a complex historical context. After the war, Miro made a few trips to New York. A series of paintings were made showing the reassurance at Post-war period. Miro succeeds an international recognition. In 1979, Miro is made Doctorate honoris causa of Barcelona university and the brilliant artist passes away in 1983 in Palma de Mallorca. 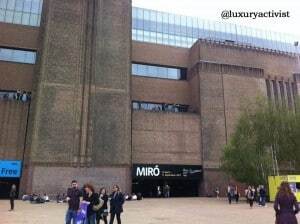 If you visit London, do not hesitate to go there, especially if you never went to the Miro foundation in Barcelona.